A class B CDL will give you the opportunity to drive a specified type of commercial vehicle. 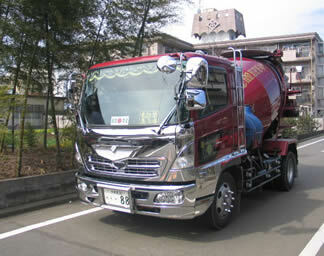 Driving commercial vehicles require a particular type of license which is issued by the government. One has to pass the basic qualifications that are imposed by the government in order to be able to drive this type of vehicle legally in the US. Aside from that, there are also restrictions as to the areas in which you can drive the vehicle. If you want to know what is required for this type of license, then you should read on. The Federal Motor Carrier Safety Administration is one of the agencies which are involved in providing standards for the acquisition of commercial driver’s licenses. Commercial driving requires a different set of regulations and they often have stricter rules as well. This is due to the fact that these types of vehicles involves a lot more risks and require a lot more maintenance than vehicles for personal transportation. They often weigh heavier and are often harder to maneuver due to their length. They may also involve one or more trailers and even hazardous materials. Commercial driver’s licenses come in several forms and one of them is the Class B CDL. This type of license is issued for those who will be driving a commercial vehicle which has a gross vehicle weight rating of more than 26,000 pounds or those that will be towing a trailer that weighs 10,000 pounds or less. They can come in the form of a bus, a dump truck, or other vehicles as long as they come in the required weight rating. You may have to apply for additional endorsements however if you will be driving this type of vehicle under a particular set of circumstances. There are several endorsements which are available for commercial driver’s licenses. They are: hazardous materials endorsement, if you will be driving a vehicle that carries hazardous materials; tank, for vehicles that will be carrying liquids of 10,000 or more gallons; double/triple trailer, if you will be towing more than one trailer; passenger, for vehicles that are made to transport 16 or more persons inside the vehicle including the driver; and school bus, if you will be driving a school bus with passengers. These endorsements require a different set of examinations aside from the one that you will be taking for your class B CDL. The process of applying for a Class B CDL involves several steps and variety of requirements. You will need to undergo a DOT physical test, vision and medical examination, a written exam and an actual driving test. You may also need to undergo a background check if you are applying for a hazardous materials endorsement. A DMV Manual is available at your local DMV office where you can learn all about the requirements and information that you need to know in order to pass the tests. Training in a CDL school will also give you additional info and background about commercial driving. Once you are licensed the Class B Commercial driver’s salary can range between $20K – $40K a year depending on your level of experience. Your income will vary depending on the work location and if the job offers the possibility of overtime pay. In addition many trucking companies offer generous benefit packages that include 401k programs, vision, dental and health care expenses. The availability of jobs is another factor that makes this occupation worth looking in to. Currently in the United States over 9 billion tons of cargo is transported per year. This means plenty of opportunities for those seeking a career as a truck driver.